In late 2014, the first details emerged of Chromatics' Dear Tommy, their follow-up to 2012's Kill For Love, with the promise that it would be released by Valentine's Day of 2015. That never came and the record is still unreleased, despite four tracks that appeared on the initial tracklist for the album having seen release. Now though, evidence has emerged linking the album to the upcoming reboot of Twin Peaks. 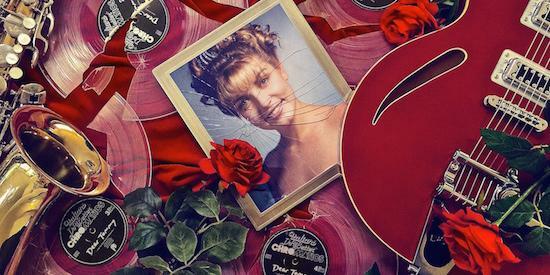 A new teaser picture for the series shows a smashed photograph of Laura Palmer on top of a number of broken vinyl copies of Chromatics' Dear Tommy. Furthermore, Echo Park Records have confirmed the involvement of Chromatics and Johnny Jewel with the new series though provided no further details. The band's Ruth Radelet was amongst the list of cast members posted on the show's Facebook page last year, but it's expected that there will be further involvement in the new series. The show will return on May 21, with David Lynch at the helm again, and with much of the original cast returning to their roles.